The Most Beautiful Road In Portugal? For anyone who likes dramatic scenery, big climbs and fantastic cycling, how about the road shown below? Gregor Tome reckons this is the best road in the country and recorded the following video as he rode through the Serra da Estrela. Gregor sent me the clip following a string of emails asking for advice on directions/routes in various parts of Portugal. I was a bit confused to begin with. Gregor said he was in Portugal but no sooner did I answer a question about one part of Portugal than he’d be asking about somewhere completely different. The first email was from Vila Real. 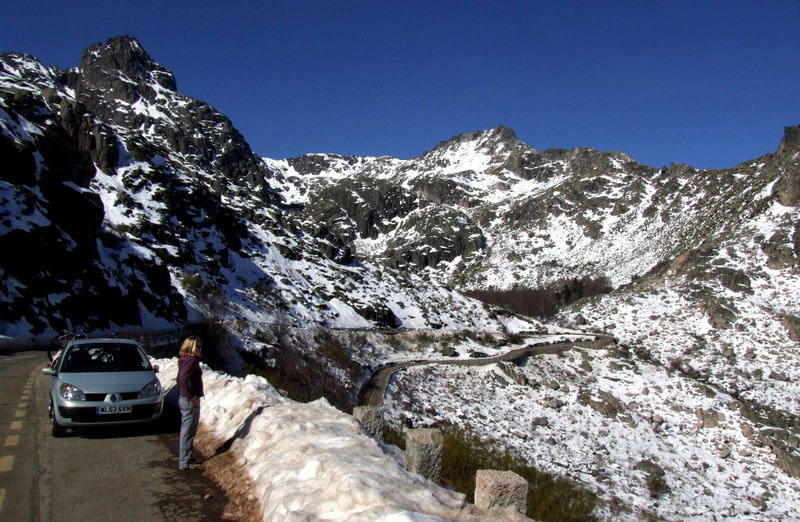 Then he was in the Serra da Estrela. A few days later he was somewhere just north of Lagos, heading into the Algarve but talking about going up to Lisbon. What was this man up to, I wondered. Now I know the answer – he was riding hard and riding fast! Along with the video clip, Gregor emailed to say thanks for my help. He also explained that he had covered 2,214km in 18 days, which by my reckoning is an average of 123km/day. Not bad at all but even more impressive if you factor in the near 30,000m of ascent involved! That’s getting on for an average of 1,700m every day. Much respect due – that’s all way outside my comfort zone. So when Gregor says this is the best road in Portugal, you’ve got to pay attention because he must have covered quite a lot of them. It’s also a good hint of what’s involved for all those people who email me asking what it’s like cycling in the Serra da Estrela (and probably why I either rode around the foothills or drove across). We’ve got the bikes… on the back of the car! Amazing scenery. I’ve only ridden around the foothills, so now I feel an October adventure coming on. Did he tell you which road it was, Huw? No. But looking at the view, I’m pretty sure its the road from Covilha towards Seia – looks to me like the Zezere valley off to the right. It is a lovely part of Portugal I love it up there but I could not cycle it. Good video Gregor.